The Official Beta Program has begun. If you’re interested in becoming a Beta Reader you must first “like” this page and then respond to this post with which book you’d like to be a Beta Reader. The choices right now are the first book in the Sally Singletary series “The Mystery of Hidden Lake” and the first book in the Children of Earth series “Robyn’s Song.” I will have my other book as a part of the Beta Reading program as well, but I’m currently going through some revisions with it. Once you decide which book you’d like to read you can also choose which format you’d prefer. Unfortunately, the books are only available in digital format at this time. I can send them as any format you’d like (pdf, doc, mobi, etc). You can even have them delivered directly to your kindle. You can find instructions for doing that here. You will need to add my email address to your approved senders list in order for it to work. If you need help, just let me know. All Beta Readers will receive a special thanks and a free copy of the book—if and when they actually get published (signed if you’d like). 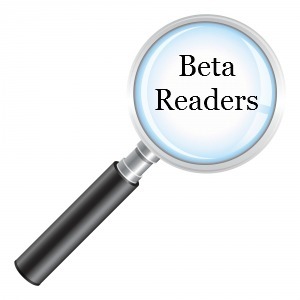 Not sure what a Beta Reader is? It’s just someone who reads my work and gives constructive feedback on it regarding plot, pacing, opinions, etc… I take the feedback very seriously when considering additional revisions to the books. Thanks to all of you for your support! It means so much to me! Love the books! Keep up the good work. You WILL be published some day!!!! !